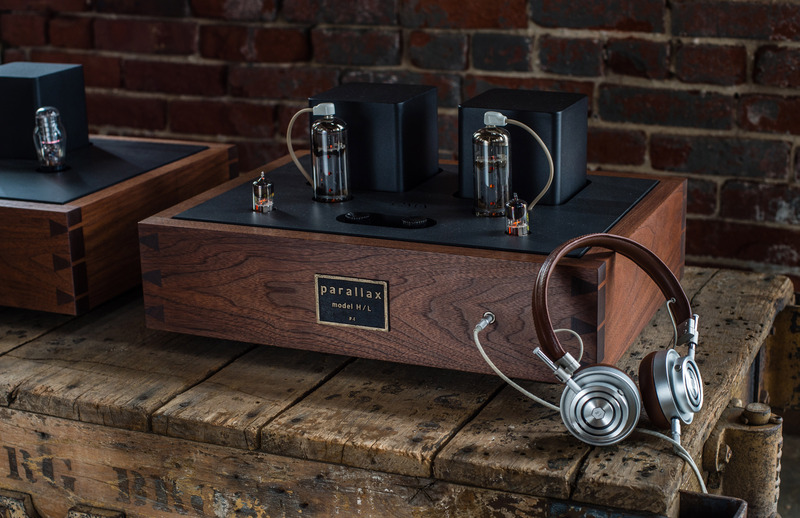 You could say there are two lines of sight in audio amplification. 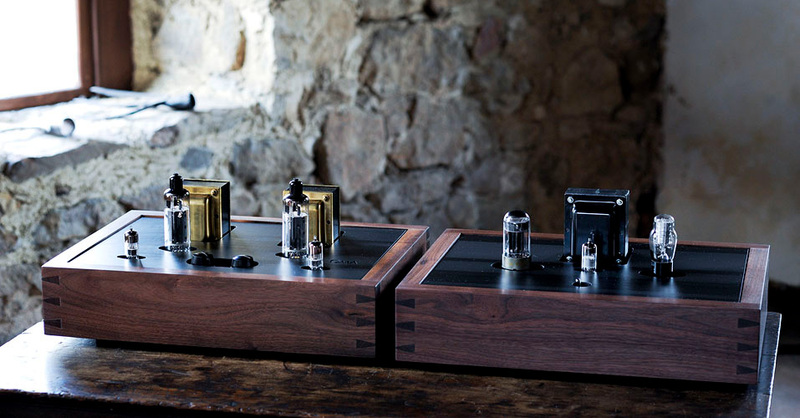 One route combines high power amplifiers with low efficiency loudspeakers. Our way is different. 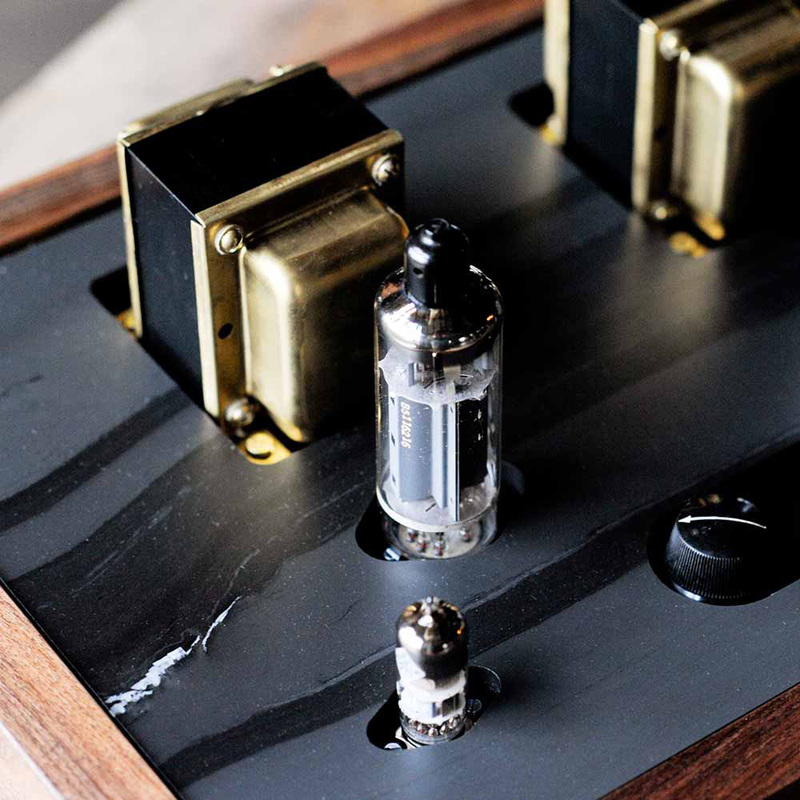 We created Parallax PL519 as a low power single ended amp to be used with high efficiency loudspeakers. The result is a truly startling level of naturalness, detail, and ease, something not found in audio equipment today. 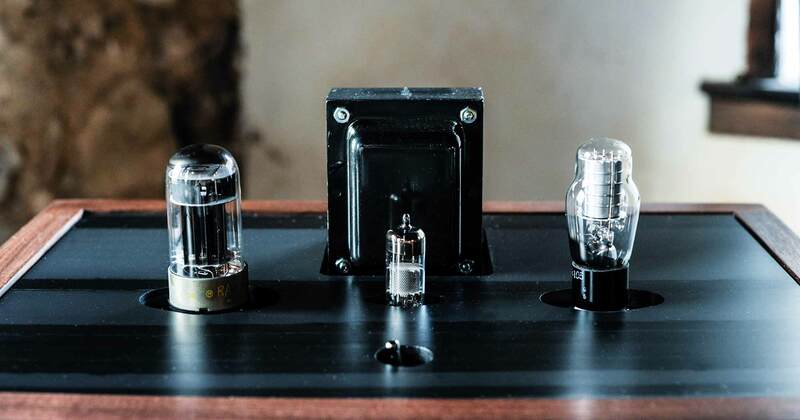 Parallax is unique in using a little known and very special tube, not technically a triode at all. This tube, the PL519, was a European television sweep tube, built with extreme ruggedness and durability for long term operation. It was never intended to be used as an audio tube. 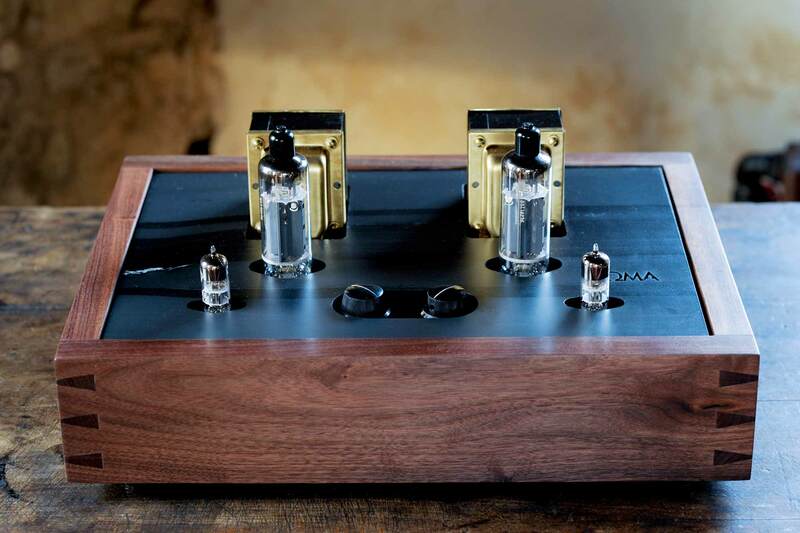 By reconnecting the internal elements of the PL519 in an operation we call Screen Mode, OMA has effectively created a whole new triode tube. The Parallax is constructed with OMA's typical attention to materials, workmanship, and design ethos. 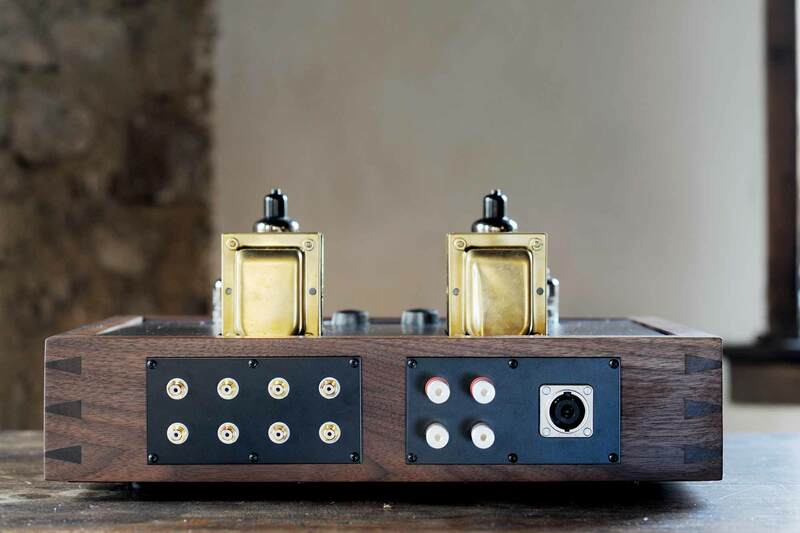 The two chassis are constructed from solid Pennsylvania walnut by hand, as the joinery shows, and finished with a hand rubbed oil and wax finish. 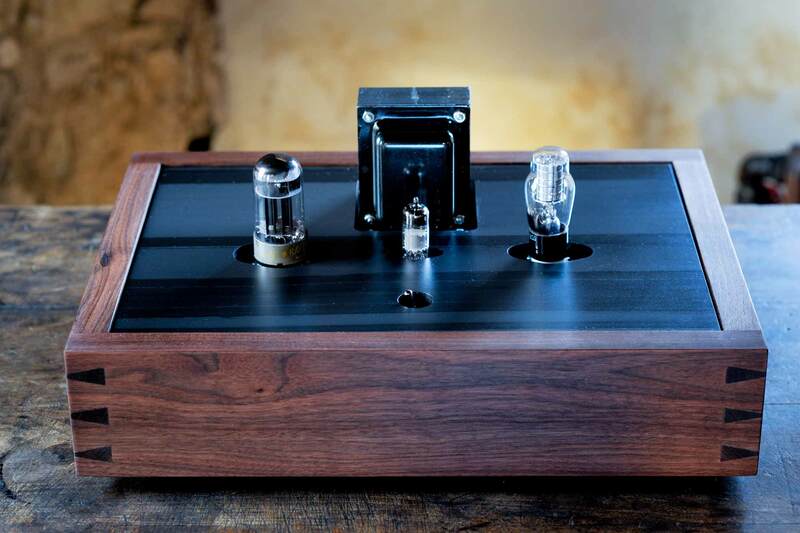 The amp itself is built on heavy sheets of steel which are powder coated, and then covered with a slate top plate, which is also an excellent resonance damping device. 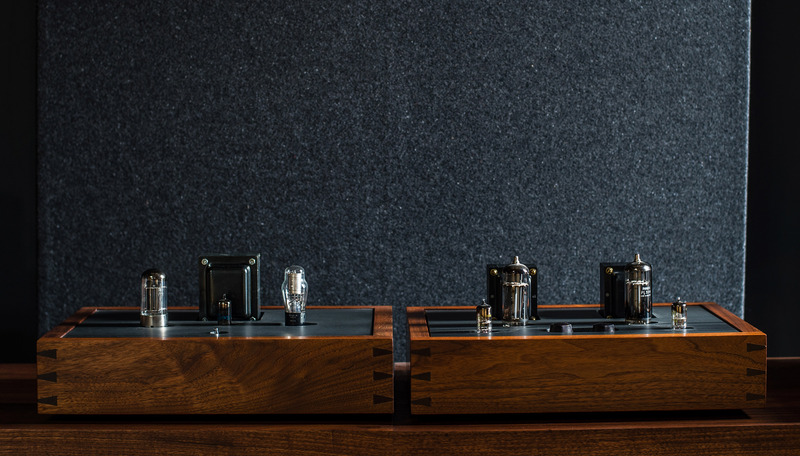 Unlike many manufacturers who produce a two chassis "monobloc" configuration, the power supply of Parallax is built on one chassis, and the signal is built onto the other. 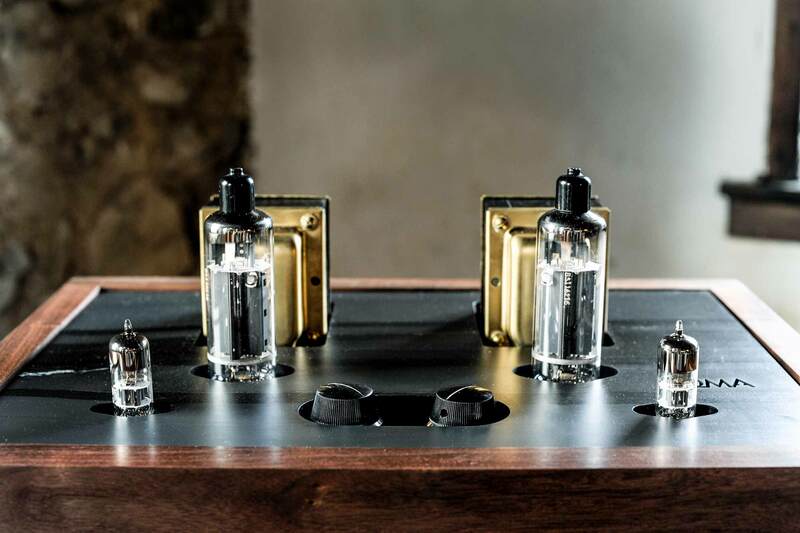 The robust, isolated power supply ensures that the output power of the Parallax exceeds what one expects of an amplifier rated at less than 5 watts. Dimensions W 19" x D 14" x H 8"